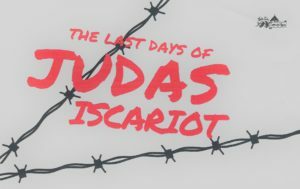 The retrial on appeal of Judas Iscariot. A seriocomic exploration of questions like: What is evil? Who decides who is a “villain”? What separates a person from God? Is there a God? The show will run the weekends of March 1-3 and 8-10. See our blog for cast interviews!